CARLOS NEGRON DISCUSSES DOMINIC BREAZEALE CLASH: "I'VE HAD A LOSS...DON'T WANT TO EXPERIENCE THAT AGAIN"
Puerto Rican Olympian Carlos Negron is deep into training camp in Miami for his 10-round heavyweight showdown against top contender Dominic "Trouble" Breazeale taking place Saturday, December 22 live on FOX and FOX Deportes and presented by Premier Boxing Champions from Barclays Center, the home of BROOKLYN BOXING™. Born in San Juan, Negron represented his home country at the 2008 Olympic games and is eager to return to fight in front of New York's large contingent of Puerto Rican boxing fans on December 22. "This is a great opportunity not only against a top opponent, but to be on the big stage in front of the great Puerto Rican fans and put on a great performance for them," said Negron, who last fought in New York in 2010. "I'm very confident in my abilities and I understand the job I have in front of me. Everyone will see how hard I've worked when we get in the ring." Under the guidance of trainer Herman Caicedo, Negron will return to the ring for the first time since June 2017, when he scored a knockout victory over veteran contender Derric Rossy in a dominating performance that saw him score multiple knockdowns. Negron has worked with Caicedo for nearly a year, previously helping prepare Luis Ortiz for his heavyweight title bout against Deontay Wilder. "Having Carlos in camp for an extended period of time before the Breazeale fight was even announced has really allowed us to be leaps ahead at this point in training camp," said Caicedo. "Mentally and physically he is really sharp right now and it's going to show on fight night." "Working with Luis Ortiz and the other fighters in our gym has really helped push me to another level," said Negron. "We're grinding every day and they truly demand the best out of me. There's no being mediocre here. You have to put in your best effort every day." With the six-foot-six Negron meeting the six-foot-seven Breazeale, this matchup is sure to display the power of two giants of the division. A former title challenger and U.S. Olympian, Breazeale has shown the ability to come back in a fight and turn the tides with one punch. For Negron, he knows the task in front of him is tall in stature and order. "Breazeale is a very tough fighter and what he might lack in skill, he more than makes up for in heart," said Negron. "He certainly has shown skill to get to this point in his career, but he also has that special something that's gotten him through some tough fights. "It's going to come down to intelligence and controlling the ring. I'm a very smart fighter with a lot of experience. I've had a loss and I don't want to experience that again. I believe whoever gets thrown off their game plan is going to suffer and I'm going to make sure I'm prepared for everything he throws at me." The PBC on FOX & FOX Deportes broadcast begins at 8 p.m. ET/5 p.m. PT and is co-headlined by twin champions the Charlos as Jermall Charlo defends his interim WBC middleweight title against Willie Monroe Jr., while WBC Super Welterweight World Champion Jermell Charlo battles Tony Harrison. 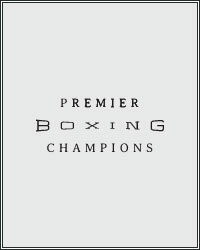 For more information: visit www.premierboxingchampions.com, http://www.foxsports.com/presspass/homepage and www.foxdeportes.com, follow on Twitter @PremierBoxing, @FutureOfBoxing, @TwinCharlo, @FOXSports, @FOXDeportes, @TGBPromotions, @BrooklynBoxing and @Swanson_Comm or become a fan on Facebook at www.Facebook.com/PremierBoxingChampions, www.facebook.com/foxsports and www.facebook.com/foxdeportes.